We offer different set of engagement models to suit the projects requirements. This enables us to give long term services to our clients. The fixed cost model is ideal for projects where deliverables are fixed in nature. The project requirements are clearly defined and the complete project can be completed in the price defined. This model offers guaranteed results within predefined cost and timeframe. Ideal for projects where the definition is not outlined and the project requirement is complex. When projects requirement is not easy to define at the start-up of the project then this is an ideal model. Under this model the client pays for the total number of man-hours put in the development efforts in stipulated timeframe. 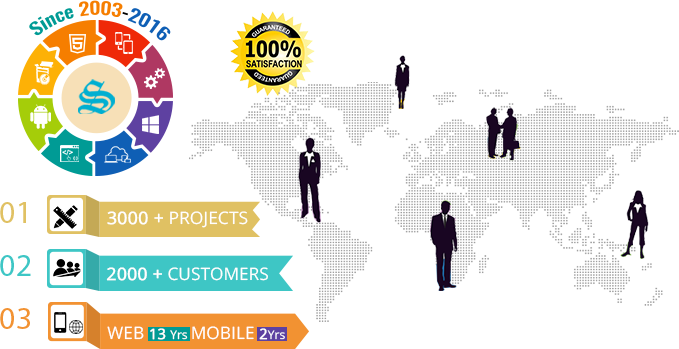 The project development requirements and strategy is defined in line with the client for complete execution of project. The project reporting methods ensure determining exact hours spent on the projects with full transparency. If the project requirement can be frozen during the initial discussions then it can be converted to fixed price model also. The model is good for extending your team for specific kind of resources as per your requirements. Under this model the client picks the team members from the pool of experienced developers with Synergy. This team works dedicated for the client at our development centre. The infrastructure and security requirements can be customized as per client’s requirements. All infrastructure as well as resources are available on a fixed monthly fee as per the clients requirements.